None of the colors immediately jumped out at me, but what did is that they're all pigmented. 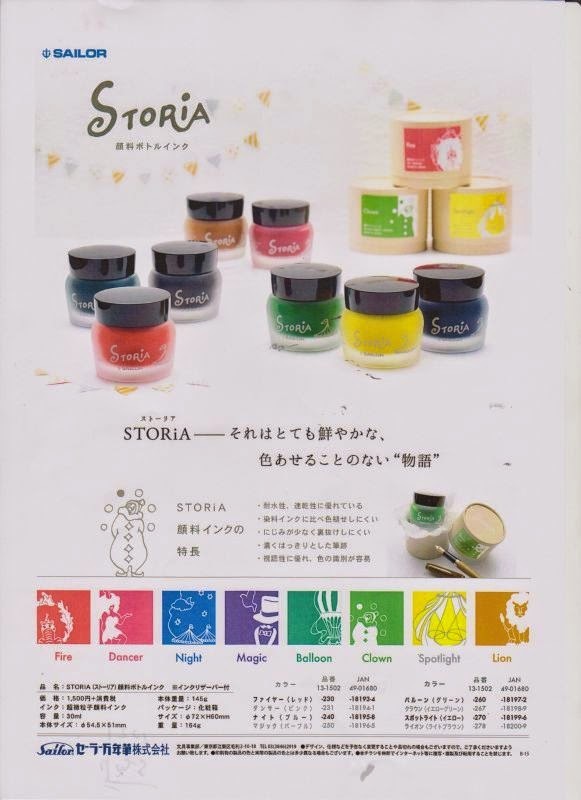 I'll be very interested in testing these inks' water resistant qualities. Water resistant inks typically come in only plain colors like black or blue, so these colors will certainly be an exhilarating deviation from the norm. 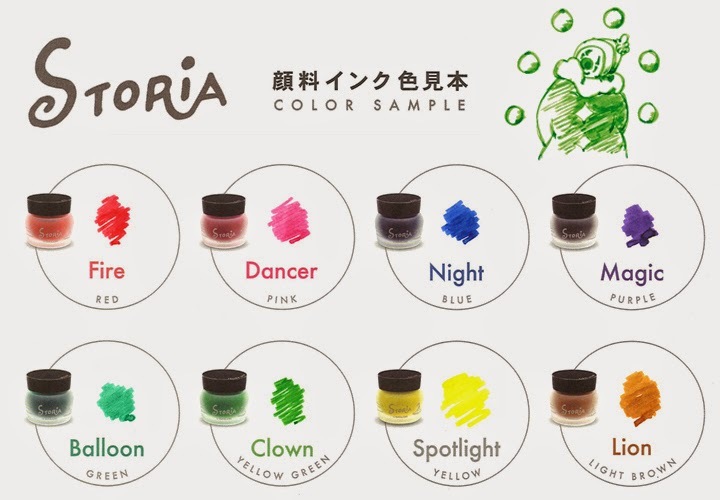 Going by these samples from Sailor's website, I think that Magic looks best closely followed by Night, which looks very similar to my everyday Diamine Blue Velvet, and Lion, which seems to have some interesting shading. Fire could be an interesting alternative to Noodler's Fox for water resistance, but it doesn't look saturated enough for revisions in this scan. Spotlight may be good as a highlighter, but I don't really see any other use for it. The release date is currently slated for sometime in April, and I may have to pick up a few of them for reviews then. First off, I hear that pigmented inks will clog your pen. 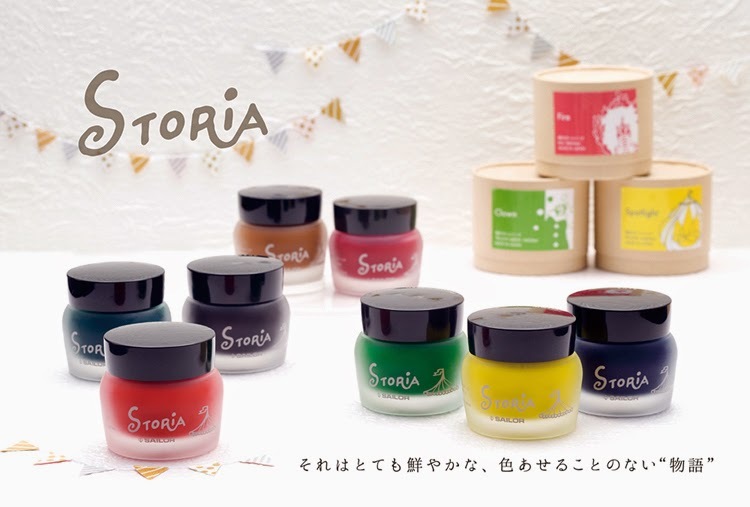 Secondly, I wish they'd label the inks with a name that gives some clue of the color. Lion? Clown? Etc? What colors are associated with these names?